The used clothing collection industry went pretty much unnoticed until recent turf wars and rapid expansions suddenly had the media and public asking questions. While there have been misconceptions in the past about the used clothing collection industry and textile recycling in general, work is now being done to help educate and inform the public about the benefits of growing clothing donation into a sustainable, regulated and important part of our communities. At TWD, we’ve realized the community building potential of this industry, and are actively connecting with the public to share our story. Textile recycling is an amazing process. The Environmental Protection Agency has just released findings saying that if the USA recycled all its textile waste, it would be equivalent to taking one million cars off the road. Textile recycling reduces more greenhouse gasses than recycling glass. The potential is there for Canada as well. Recently TWD has started to expand its business model, to be a more diverse participant through the textile end of life process. Prior to this, TWD was exclusively what is called a “Credential Dealer” which is what most charities still do today to fundraise. For big charities that have used clothing bins across the province, it would be impossible to organize enough volunteers to collect, sort and distribute all those goods back into the community, while still running a charity. 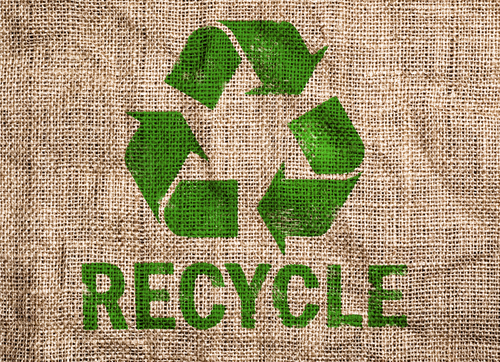 The average Canadian disposes of 14kg of textile waste a year. TWD will collect approximately 30 million pounds in 2013 alone. That’s A LOT of clothes to sort! Instead, recycling companies are hired by charities to collect these clothes from the bins, and deliver them to ‘grading facilities.’ These are huge factories, that normally employ about 100 full time staff. The donated clothes are then sorted by type and quality. They are also treated to prevent the spread of infestations. Then they are baled and labelled. Canadian thrift stores and used clothing charities can only process a very tiny fraction of what is actually donated. The alternative is to throw the majority in the dump making most of what is donated totally worthless. The market, as always, finds a solution. Instead, there are developing nations that lack in domestic clothing supply. Having access to our abundant used clothing is the only option they have. The Recycling Council of Ontario estimates that in the first 6 months of a child’s life, the average Canadian will use the same quantity of material than a person in the developing world will use in their entire lifetime. Some of the clothing that is collected is given directly back to the local community. Winter coats, blankets, towels and some children’s items are often donated directly to local homeless shelters and other organizations in need. Suffice it to say, we have more than enough to share, both locally and abroad! The used clothing that Canadians will not reuse is sold very affordably to these countries. This has started a new industry in those countries as well, which has created jobs that didn’t exist before. The proceeds from those sales then comes back to Canada and to the charity. For a charity, this maximizes the stable fundraising potential used clothing collections offer. Everybody wins. If no one in Canada wants your old jeans, there is someone in Africa that will be really grateful to be able to afford them. The proceeds of the sale of your jeans then comes back to the charity you donated the jeans to in the first place. The used textile export market was once far more robust. Now that textile manufacturing has moved to the countries that once depended on our exports, those markets are slowly shrinking, increasing our supply. The shrinking demand is having an impact. We have sadly seen many grading facilities close recently creating hundreds of job losses. 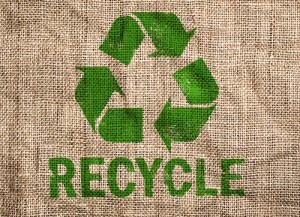 At the same time, we still have an abundance of textile waste that must be recycled. Canadian textile recyclers must find solutions to our textile waste problem. We think we have. Expect an announcement in 2014. Together, we are creating a community driven green future!